Fragrances and extraits. My job is made of experiences: a new one every day new and every day a different one from the other. Some are more precious of the others because they enrich me with knowledge that I never had the opportunity to learn before. 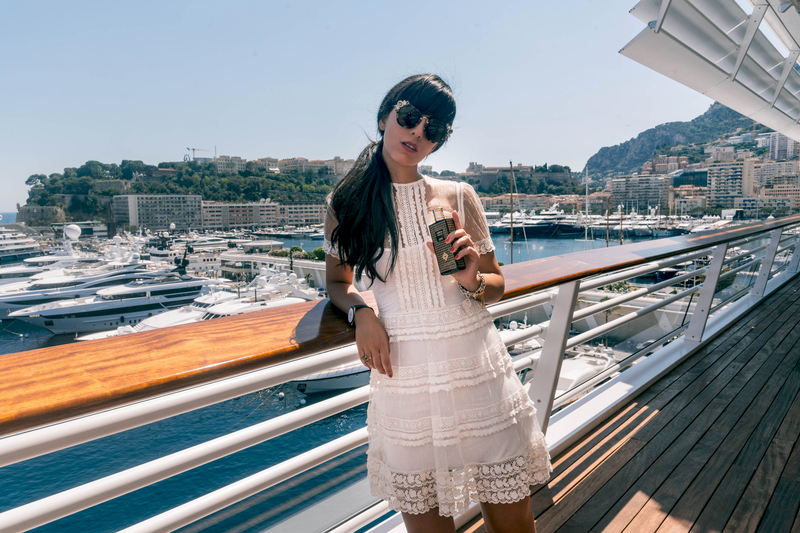 Today I tell you about a wonderful and interesting day I had the pleasure of spending in the Principality of Monaco, home of the niche perfume house Perris Monte Carlo. That’s all I learned! 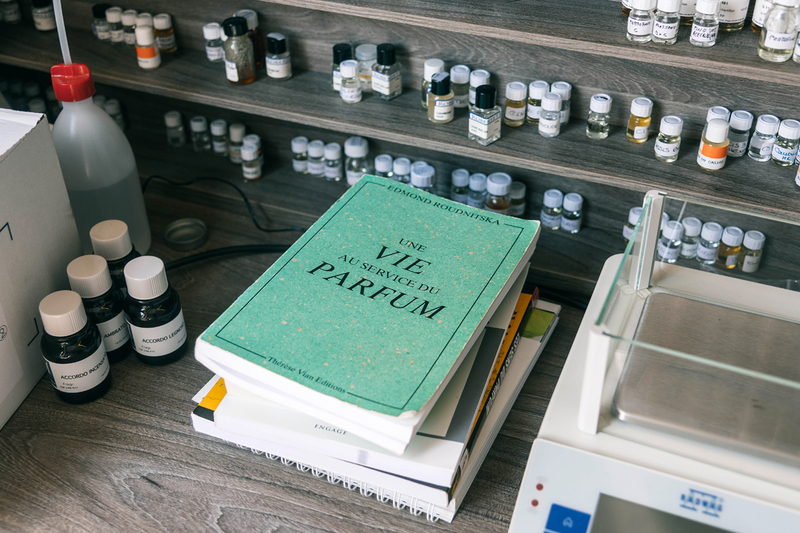 It was the first time that I had the opportunity to spend time with a perfume master of the likes of Gian Luca Perris to show me live, through photos and olfactory tests, the pure ingredients with which fragrances are made. Also to show me the story behind each of them. The first step is in fact the selection of raw materials. A real journey of research that brings Gian Luca to flying in the most remote corners of the world. In Saudi Arabia, where grow the roses that are the basis for the fragrance Rose De Taif. In New Caledonia, where sandalwood forests are used to make Santal du Pacifique. In Madagascar, more precisely on the island of Nosy Be, where throughout the year grow the yellow flowers of Ylang Ylang that are used to realize Ylang Ylang Nosy Be perfume. Again in Madagascar, where he discovered some patchouli plants shaded by papaya and ylang ylang trees, giving a more woody, dry and amber touch to Patchouli Nosy Be. In Oman, where live the capodoli that, when eating calamari, create a secretion that resembles a rock and arrives to settle on the beaches: from this one they gets the gray amber, one of the rarest and most precious ingredients in the world of perfumery (it can cost up to three hundred thousand euros per kg), which is the base of Ambre Gris. In China, Guilin, where there are wonderful naturalistic landscapes of osmanthus forests, from which one of the essential oils of Absolue d’Osmanthe is derived. Lastly, with his stories and his photographs, Gian Luca made me fly to Vietnam where aquilaria plants form a resin from which is extracted the Oud at the base of Bois d’Oud. Once you select the raw materials, it’s time to choose and combine them to create a new fragrance. 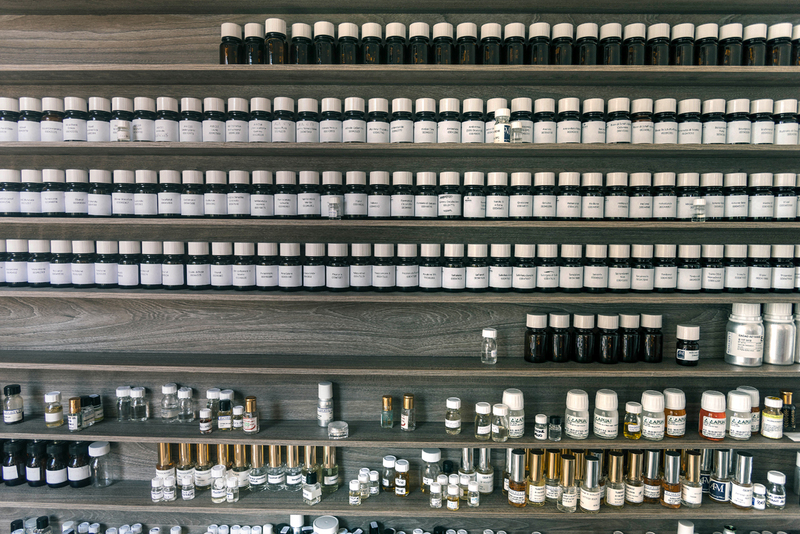 There are over six thousand raw materials between natural and synthetic which can be used in perfumery. All these are kept by the perfumer in his Organ. Natural ingredients like orange, rose and jasmine are stored in the fridge. Synthetic ingredients can instead stay at room temperature. I found out that most of the fruit based ingredients are synthetic, as the fruit contains no oil to extract. The essential oil is derived from the raw material as a result of a steam distillation process. I had the chance to sniff a nice variety of pure ingredients: organic lavender, helicriso from Corsica and Cuneo, lemon and many others… My favorite was the blood orange, which brought me back over time to my vacation in the Amalfi Coast! The pure ingredients are then mixed by Gian Luca and refined into the doses until he realize the fragrance. Each fragrance is then made in two versions: perfume, only Eau de Parfum, and extract. What is the difference? In the percentage of essential oil and the quality of the raw materials used: the Eau de Parfum contain about 20%, while the Extracts 30%. The result is that the Eau de Parfum slightly varies from a few notes, remaining faithful to the Extract of the same name. The collection includes 10 fragrances and 6 extracts plus two new 2017 additions: Cacao Aztèque and Tubéreuse Absolue, one of my favorite favorites. Cacao Aztèque contains cocoa, cardamom and chili pepper: all ingredients historically used in Central America to create a special drink called “Food of the Gods”, which was said to give power and wisdom. 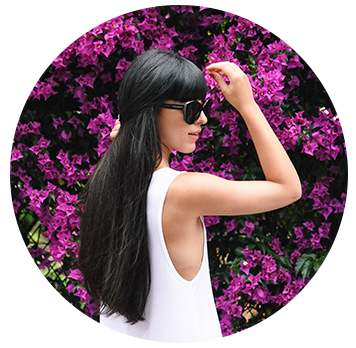 The tuberose of Tubéreuse Absolue is a white night flower cultivated also in Central America: it has a strong and inebriating aroma, which literally conquered me at the first spray! The purpose of Perris Monte Carlo is to create a real olfactory wardrobe, a collection of unisex fragrances to choose each day based on how you feel, how you want to appear or the situation where you you will find in. Because, if you think about it, what’s the first thing you notice when you meet someone? What is the thing that brings back memories that we thought we had forgotten? The scent. That is why we must not take it for granted. The perfume is what communicates to others who we are, what we feel. It’s what tells us more than anything else in the world. It is for this reason that the choice of fragrance that will have to represent us on a given occasion can not be left to chance, but must be studied in the slightest detail, just as we do with our looks. And if you’re used to traveling a lot, like I am, there’s also a very handy Travel Set (which I showed you on my Instagram Stories) containing 4 recharges of different Extracts and an elegant magnetic vaporizer, perfect to be carried always with you inside the bag or the carry-on. For any questions or for information on where to buy the fragrances you can write to their customer service contact@perrismontecarlo.com! I would like to thank heartily Gian Luca, his wife Rosy and Eleonora for the wonderful day spent together in the elegant headquarter of Perris Monte Carlo and then at the Yacht Club Monaco, where we moved for lunch and the shooting! I wish a happy start to the week at all of you!